You can often hear that golf is a rich man’s sport, so it’s no wonder that golfers are often surrounded by gold diggers. Here are some tips on how to avoid women who are just interested in your money. Golf has always been considered a gentleman’s sport, which is why it doesn’t come as a surprise that women are crazy about golfers. Read this article to find out what the ladies love about golfers. You’ve met a great golfer on a golf dating site. Now you want to take it to the next level and meet in person. Find out what you should and shouldn’t do on a golf date to leave a lasting impression. If you’ve never imagined your dream partner as someone who plays golf, maybe it’s time to consider going on a date with a golfer. Read this article to find out what makes golfers terrific partners. If you’re tired of explaining why golf is so important to you and have a hard time meeting someone who shares your passion, don’t worry. 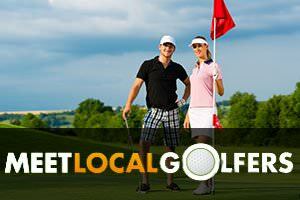 Golf dating sites can help you find your perfect match. You’ve met an interesting golfer online, but aren’t really an expert on golf? Here’s all you need to know about the game before you take the clubs and balls and meet your date on the course. You’re a golf enthusiast and want to find a like-minded partner, but can’t imagine approaching someone on the course? 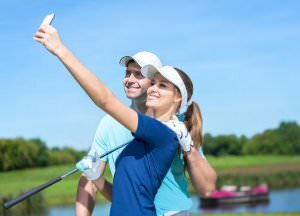 Learn how to make an irresistible golf dating profile and find a match in no time.